Graphic Design BFA Show – Reception Friday! 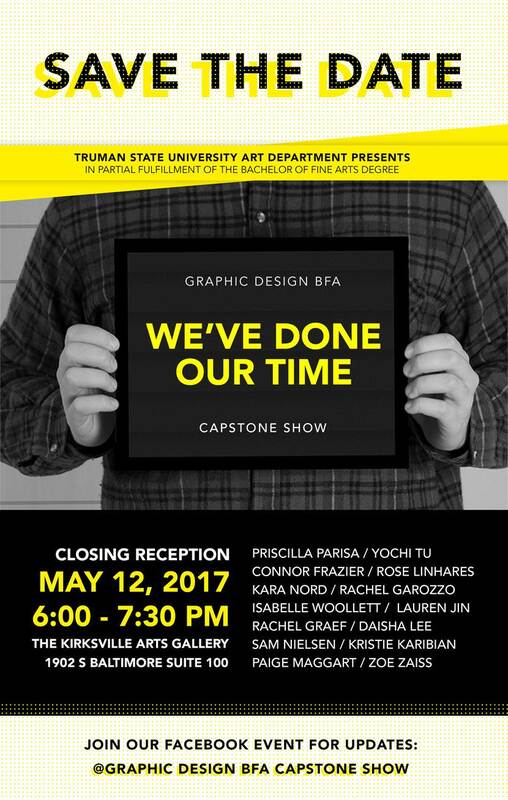 In addition, Design capstone projects are up at the Kirksville Arts Association (1902 S. Baltimore, Suite 100) this week. The reception to celebrate their completion of the degree will be at 6 pm Friday evening at that location. We look forward to seeing you at one or all of the events coming up this week. In commemoration of the centennial anniversary of World War I, the Truman State University Art Gallery and Pickler Memorial Library’s Special Collections have collaborated on two interrelated exhibitions about art produced during the Great War. Join, Save, Buy: WWI Posters on the Homefront consists of a selection of never-before-exhibited World War I posters from the E.M. Violette Museum which reveal experiences on the American home front. Arts Against the Great War looks at creative responses to the Great War which explore the war’s complications, violence, and human cost. 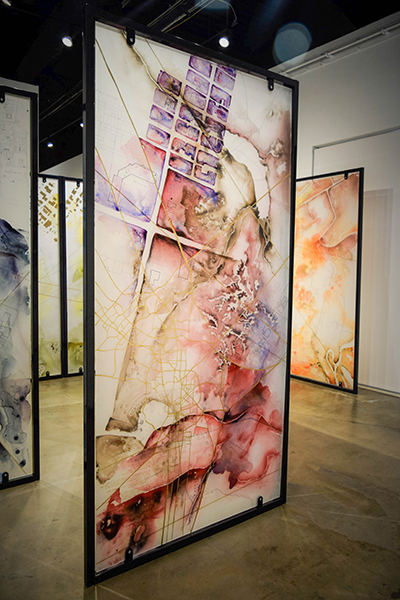 Truman State University undergraduates contributed and are contributing significantly to the exhibitions, including in research, writing, installation, serving as docents and designers, and other activities. 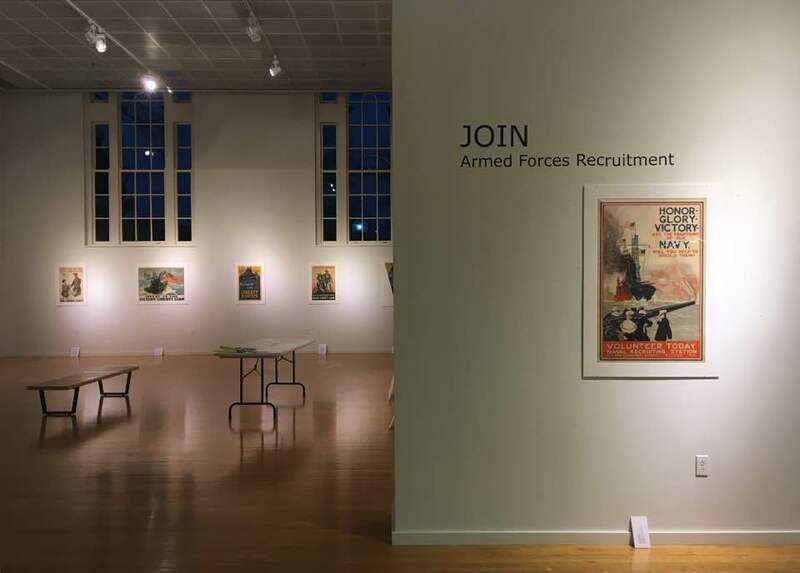 The University Gallery during installation of Join, Save, Buy: WWI Posters on the Homefront. Photo courtesy of Sara Orel. And here is a 3D view of the side gallery during installation of Arts against the Great War. Kansas City ceramic artist Chandra DeBuse will be demonstrating and lecturing on her work Monday, November 9th. On her Facebook site she writes about her work: “My functional pottery incorporates narrative imagery, pattern and form to amuse and delight the user, imparting a sense of play.” Her ceramic work is on display in the University Gallery until Thanksgiving. All Chandra DuBuse’ demonstrations will be in the Ceramics studio (OP 1260) from 9:30 to 11:30 a.m. and 1:30 to 3:30 p.m. The lecture will be at 4:00 in OP 2210 (all November 9th). Everything is free and open to the public. 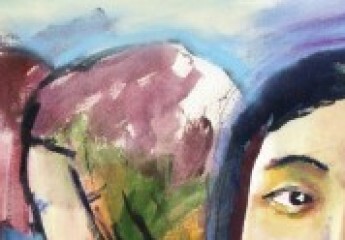 Gallery Opening Tuesday at 6:00 p.m.! Please join us on Tuesday, October 20 at 6:00 p.m.for an opening reception in the University Art Gallery (OP 1114). There will be refreshments, and photographer Dana Fritz will be in attendance. Shaping Nature includes two series by photographer Dana Fritz, Terraria Gigantica and Garden Views, in which the artist uses photography to investigate the ways in which humans display, represent, and shape nature in constructed and enclosed landscapes. 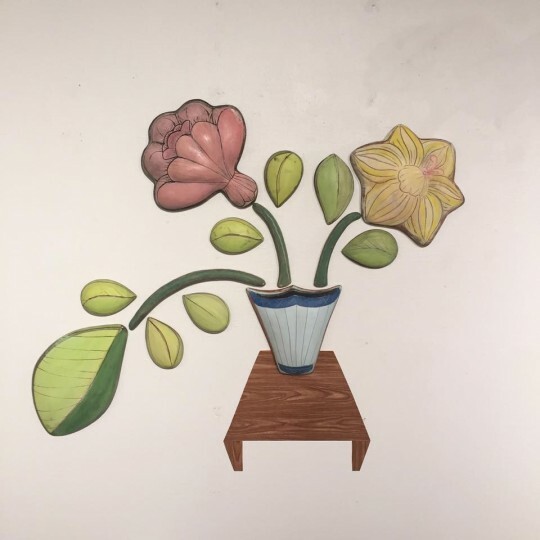 Truman alumna Anna Youngyeun’s exhibition I feel funny, but I like it includes drawings and fiber arts installations that use humor, play, and tactility to address issues of bodily and racial shame. In her show Fair Shares, Kansas City-based ceramicist Chandra DeBuse enlivens functional pottery with whimsical narratives. Three Shows Open in the Gallery! 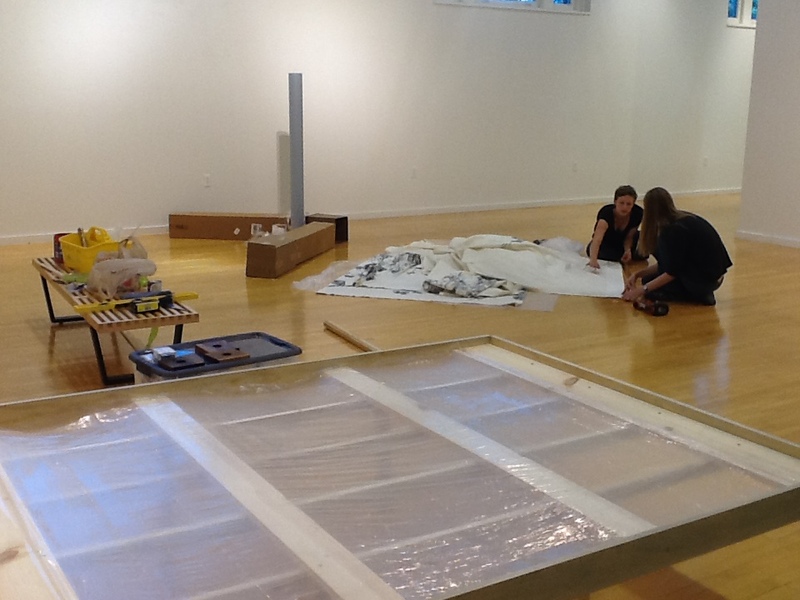 From Tuesday, October 13 – Friday, November 20, three new shows will on display in the University Art Gallery (OP 1114). The opening reception will be Tuesday, October 20, 6:00 p.m.
Dana Fritz, “Shaping Nature” will feature photography in the main gallery. Chandra DeBuse, “Fair Shares” will feature ceramics work in the side gallery. 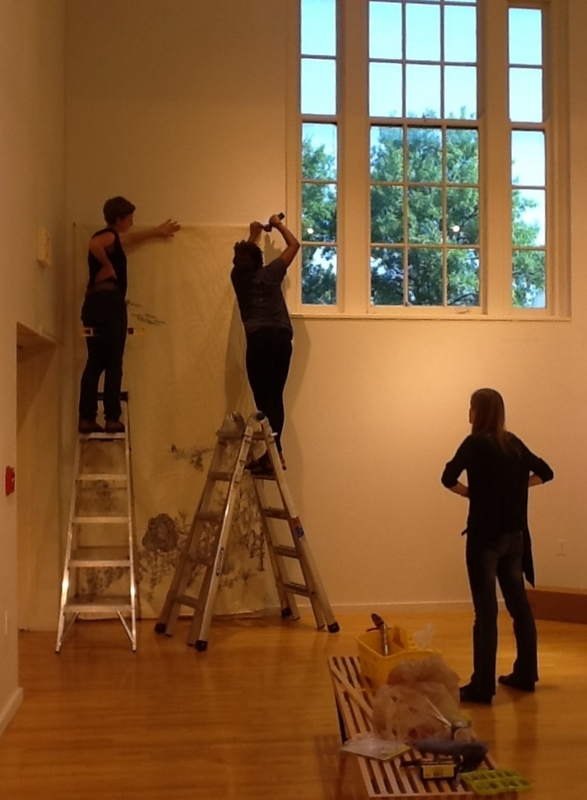 Anna Younguen (alum, Studio Art), “I feel funny, but I like it” will feature drawing and fibers work in the cube. As always, University Art Gallery events are free and open to the public. We hope to see you at the opening or another gallery event soon! For more information about the gallery, including hours and contact information please visit: http://www.truman.edu/majors-programs/academic-departments/about-the-art-department/art-gallery/. 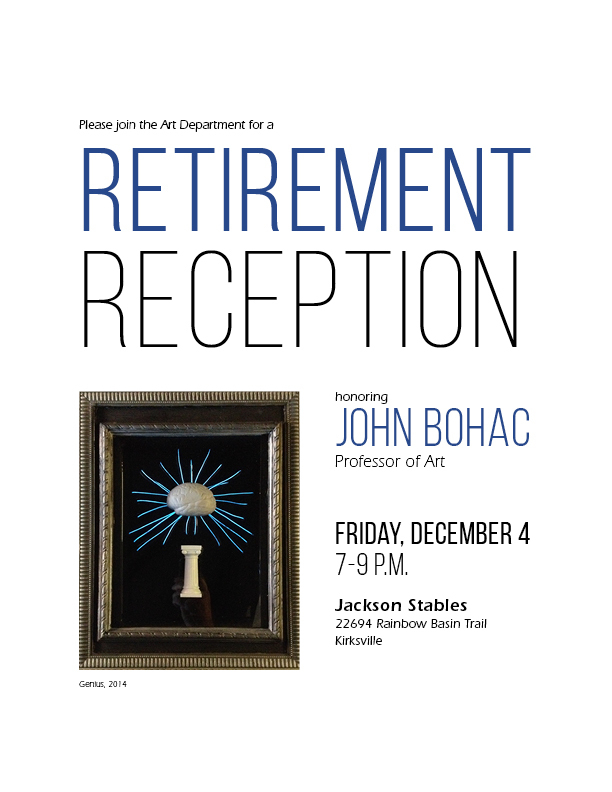 As blog readers will know, the retrospective exhibition of Prof. John Bohac’s work will be up in the University Art Gallery through October 1, 2015. 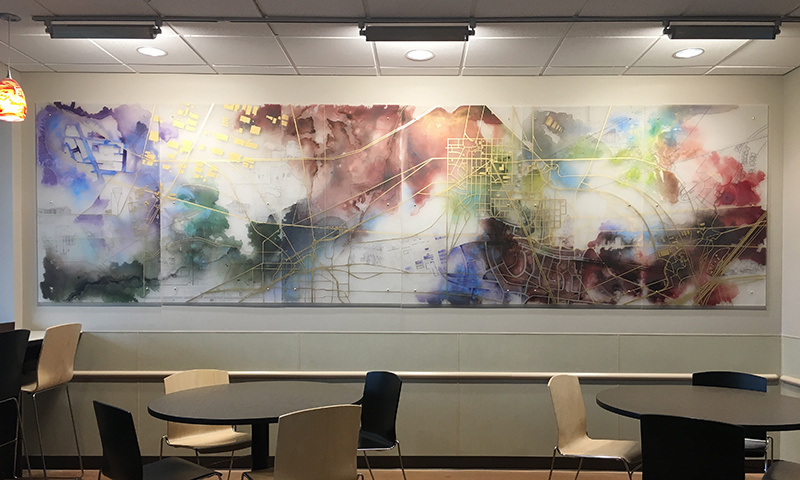 Student Anna Lang (Communications major) wrote a great post for the University Art Gallery blog which is reprinted below. We hope it serves as a great added inspiration to attend the exhibition! This exhibition presents the forty-five-year artistic journey of Truman professor John Bohac. A representative selection of over fifty works demonstrate how he has grown as an artist over his lifetime. The Retrospective exhibition includes paintings, drawings, manipulated signage, and mixed-media assemblages.